I always thought I ate pretty healthy but I started to get lots of inflammation in my body. 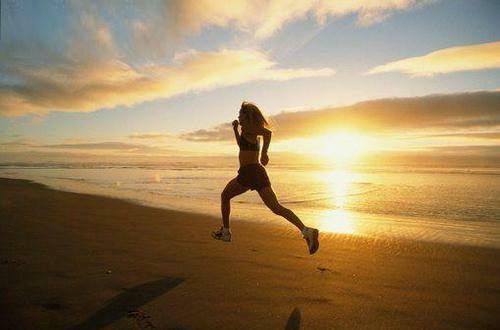 When I ran, the first 5 minutes of my run I would feel stiff and sore in my knees, ankles, feet, hips. After I warmed up the stiffness went away and the body finally felt well oiled. I thought it was just because I was an older runner and should expect to feel this way. Then my shoulders started to get inflamed. I thought it was due to overuse over the last 10 years of training myself and others and lifting heavy weights day in and day out. Everyday the inflammation in my shoulders got worse and the pain increased. Every time I looked at a weight I would cringe. But I really didn't have the option of resting my shoulders. A trainer has to train right! ​That's when I decided to look at my diet a little closer. And this is why sometimes a set back is usually a great teacher if you go into it with the right mind set. I had studied a little about anti-inflammatory diets and thought maybe I would give it a go. I read it was just as important to eliminate foods as it was to add foods. I ended up changing my diet drastically although it really didn't seem like it to me at the time. I actually was enjoying eating even more. After about 3 weeks I noticed major changes going on in my body. As soon as I started running I already felt well oiled. There was no stiffness or soreness in my joints. I felt as good in my first minute of running as I did after 30 minutes. My shoulder inflammation cleared up by about 100%, maybe 101%! My energy levels sky rocketed and my running performance improved drastically. I started to think there must be something to this anti-inflammatory diet after all. Now for all you yogis out there. You may be wondering why was he not able to get rid of the inflammation with yoga only? Simple answer - Yoga does help with inflammation - drastically! Without Yoga I wouldn't be able to run. Yoga completely changed my whole body dynamic. My body actually moves like its supposed to now. And my knee - forget about it! After an A.C.L. reconstruction, and a couple of meniscus tears to the left knee my knee ached all the time before I took up yoga. Since Yoga I never even think about the knee. No aching in the cold weather. No being able to tell when the weather is going to change like our grandmothers always could based on their rheumatoid arthritic prognostications. So I have to say you need both. If someone is taking a little Strychnine every day but still doing yoga they are going to become very ill sooner or later. Same as eating. If you are eating to poison or slowly kill yourself there is nothing yoga is going to be able to do for you. Beef - Mostly. If I did indulge I had a very small portion. I found that eating large portions not only made me feel sluggish but definitely gave me inflammation. Bread/Pasta - I don't really eat a lot of pasta anyway. This from a guy married to an Italian is a real feat! Actually she is celiac, so she can't eat gluten and I am allergic to tomatoes and garlic so there is not a whole lot of spaghetti, linguini, or cannelloni being consumed in our household. I however did cut out most of my bread consumption which I really love. Processed Foods - Didn't eat much anyway but eliminated all together. Alcohol - Uh oh, here is where I lose everybody, right? I cut out 99 % of my alcohol intake so I was down to 2 beers per day. O.k., about two beers per month actually. I found distance running and alcohol don't really mix. There is nothing like running 30 km to know what foods or drinks are working for you and what is not. Dairy - Reduced. Still included Greek yogurt and some feta cheese. Most of us have at least a little trouble digesting dairy so it makes sense to cut back somewhat of this sometimes inflammatory food. Sugar - O.K. I still have a little sugar in my coffee but all other sweets got eliminated. Fruits and Vegetables - I always ate a lot of these but really jacked up the consumption. I made sure to include Veggies in every meal. Yes even breakfast, through the magic of smoothies. Grains - I stuck to mainly brown rice but also added in Quinoa. Fish and Poultry - Fish high in fats like Salmon, Rainbow Trout, Sardines, Tuna. And chicken and Turkey. I made sure to not have big helpings. I found that having too much protein in one meal led to inflammation. So, maybe 30 grams of protein from your fish or poultry at the most because you are going to get more in your other foods. Spices - I used a lot of Tumeric and Ginger. Garlic is good too but I am allergic. Oils - Olive and Coconut oils are very anti -inflammatory. • Tumeric and Ginger - in spice aisle of any grocery store. • Protein powder - I use either a pure whey protein or sometimes change it up with a vegetable protein usually made from brown rice or pea (never soy). Great way to start your day right!! !